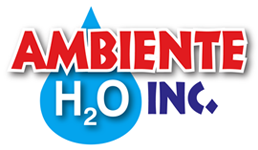 Welcome to Ambiente H2O INC.
Ambiente H2O INC. is a full service manufacturer representative firm specializing in pumps, process equipment, and instrumentation for the water and wastewater industries. Here at Ambiente H2O Inc. we can take care of all your water and wastewater needs. Currently we operate in Colorado, Wyoming, Montana, Utah, and Idaho. Give us a call and one of our amazing employees will guide you in the right direction! Our focus is to provide unmatched service and technical support to everyone working in and being served by the water and wastewater treatment industries, especially those in the great states of Colorado, Wyoming, Montana, Utah and Idaho."